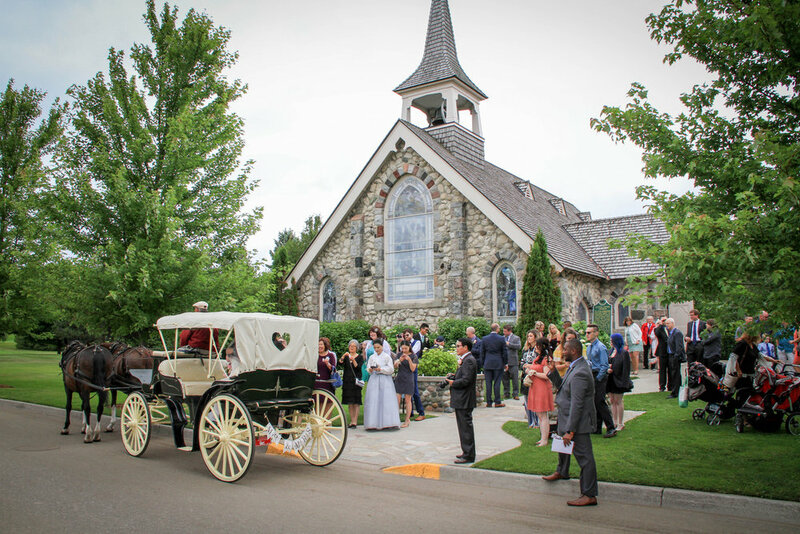 Little Stone Church is over 100 years old and located two blocks from Main Street, nestled in the green sweep of the adjacent Grand Hotel Jewel Golf Course. 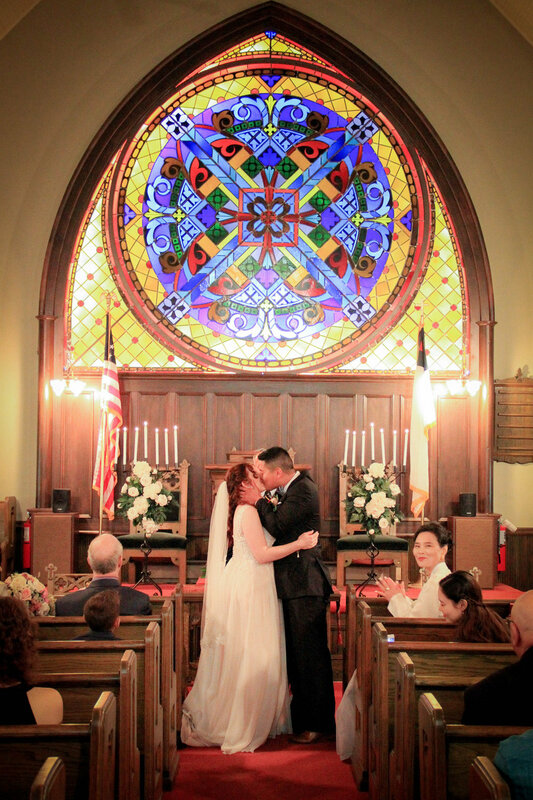 The warmth and security of the sanctuary assure you are never threatened by inclement weather as your wedding is celebrated beneath the glow of the magnificent stained glass chancel window. 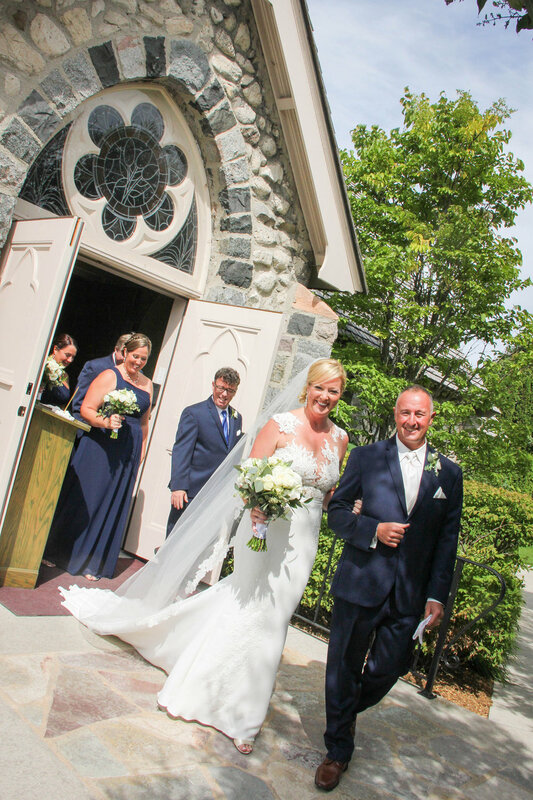 Little Stone Church is charming and very romantic and available for wedding services or vow renewals for your Christian wedding of any denomination from mid-May until mid-October. 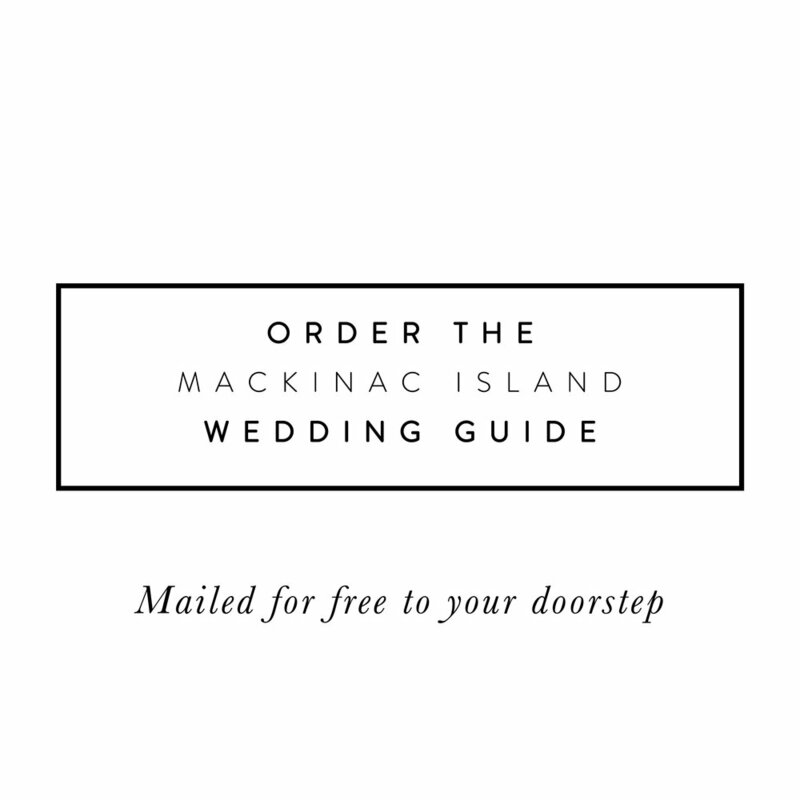 Maximum seating is 200 and the thirty-minute service is written specifically for Mackinac Island weddings. The ceremony fee covers all aspects of the services, including the rehearsal, the minister and organ music. All wedding fees help support the College Scholarship Program for well-deserving Mackinac Island Public School graduating seniors. Your wedding at the church is considered a spiritual service performed by their ordained minister, and will be set within the context of the Christian Faith. Early and advanced reservations are encouraged to ensure the specific date you desire for your wedding day. Please feel free to attend church services which meets in the sanctuary each Sunday at 10:30 AM during the season.